Starting with Diamond clusters that we already had in the shop our customer discussed, and tried on, the style that she was looking for. Although we didn’t have something in the style with an Emerald in the centre this allowed both her and us to picture what we were after. 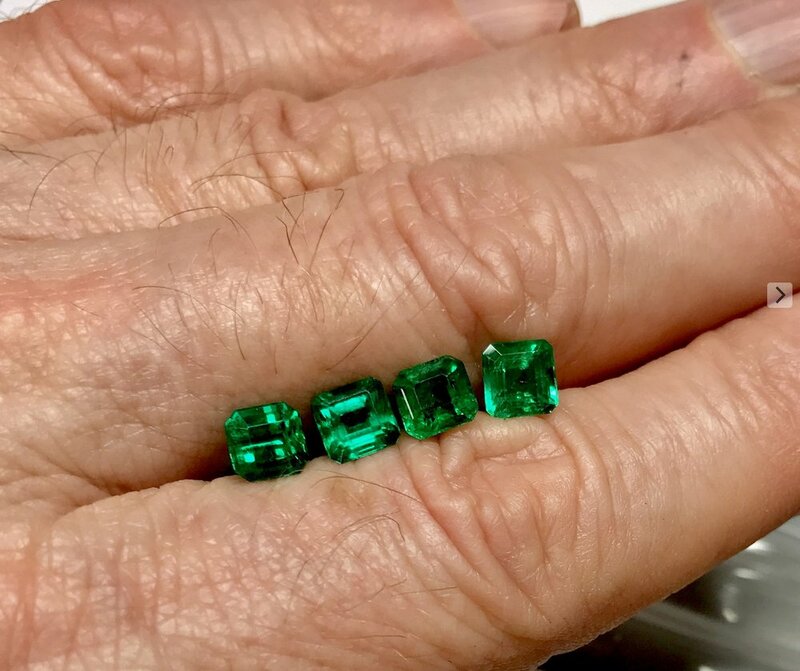 From here we spoke with our stone suppliers and got in several options of high quality Emerald for the customer to choose from. Once the style and stone were confirmed it was time for Tim to work on the CAD. After being proceeded the ring was cast, cleaned up and set by our in-house goldsmiths and setters ready for our customer to wear.